On my first Camino journey, in 2002, I heard a handful of reports about women being harassed by men who exposed themselves or urinated in public. I also heard a report of some pilgrims who were mugged by locals when they left their refugio to take an after-dinner stroll. But these incidences were few and far between, and none resulted in any serious physical injuries. The Camino seemed one of the safest places I knew. In the summer of 2015, an American pilgrim was murdered en route to Santiago, causing me to reassess my opinion. Spanish police apparently did not to take her disappearance seriously during the first two months she was missing. After all, they reasoned, many pilgrims who walk the Camino are seeking to escape from busy lives, family demands, pressures at work. But after repeated pleas from her family and the intervention of Senator John McCain, the authorities took action. Missing person posters were widely distributed in the area where she disappeared, and the Spanish police announced that they were setting up regular patrols along that section of the Camino. Albergue and hotel personnel began acknowledging the incident and urged women pilgrims not to walk alone on the isolated stretch between Astorga and Rabanal del Camino. Pilgrims took these warnings seriously, and in the spirit of the Camino, those traveling in groups and men traveling alone insisted on walking with unaccompanied women on this stretch. Everyone I spoke with was pretty freaked out. This was the first time in anyone’s memory that a pilgrim on the way to Santiago had disappeared without a trace. Finally, on September 11, police found Ms. Thiem’s badly decomposed body under a tree in a field a few kilometers from Astorga. (See “Body of American pilgrim in Spain found by police,” by Stephen Burger, The Guardian, September 13, 2015; http://www.theguardian.com/world/2015/sep/13/denise-thiem-american-pilgrim-missing-spain-found.) A local recluse was arrested in connection with her death; he confessed two days later when the forensic report was released. Might Ms. Thiem have been found alive if the authorities had not been so slow to take her disappearance seriously? Perhaps. Are precautions being taken to avoid future such incidents, to the extent that it is possible? Apparently. Does this incident brand the Camino as unsafe? Upon reflection, I think not. In the early days of the pilgrimage to Santiago, the pilgrim trail was fraught with deadly danger from human forces, including murder by brigands and intentional drowning by ferrymen. (For some particularly gruesome examples, see The Pilgrim's Guide, A 12th Century Guide for the Pilgrim to Santiago de Compostella, Confraternity of St. James, 1992, translated from the Latin by James Hogarth.) In modern times, there have been infrequent reports of muggings, harassment of women pilgrims, and even attempted abductions. Pilgrims have heart attacks on the trail and die in car or bike accidents—just like at home. But according to statistics on pilgrim deaths on the Camino gathered by the Federación Española de Asociaciones de Amigos del Camino de Santiago, this is the first time in the twentieth or twenty-first century(to date) that a pilgrim has been murdered. We’d like to think that the odds of being abducted and murdered on the Camino are zero. That’s no longer the case. But the actual odds are still pretty good, especially given the hundreds of thousands of pilgrims who make their way to Santiago each year. The Camino de Santiago is not Disney World. It’s a pilgrimage that comes with certain hardships and, yes, an element of danger. Some isolated sections of this one-thousand-year-old trail may no longer be safe for women to hike solo. But does that mean women should stay home? I have had many conversations with one of my sisters about the dilemma of balancing safety concerns with potentially risky undertakings. We start from the proposition that nobody gets out of this life alive. She travels frequently to Africa for her work with organizations that try to improve the lives of the poorest of the poor—women and children in Third World countries who live in conditions that are unimaginable to most of us. I admire her enormously, but I also think she’s completely nuts to go to politically unstable parts of Africa and risk her life to disease and violence. She thinks I am crazy to walk alone through rugged, isolated countryside for weeks on end, not knowing where I will end up at night or even whether I'll have a bed to sleep in. She worries that I will fall in an isolated area, and now she worries that I will be abducted and murdered. Katharine B. Soper is a retired French professor, lawyer, and University of Michigan administrator. 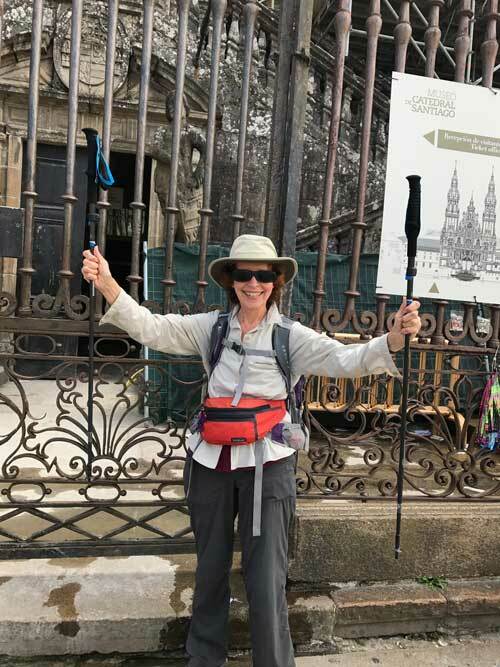 She continues to learn about the pilgrimage to Santiago by volunteering at pilgrim welcome centers in France and by talking with prospective pilgrims and interested armchair travelers at book clubs and book talks. 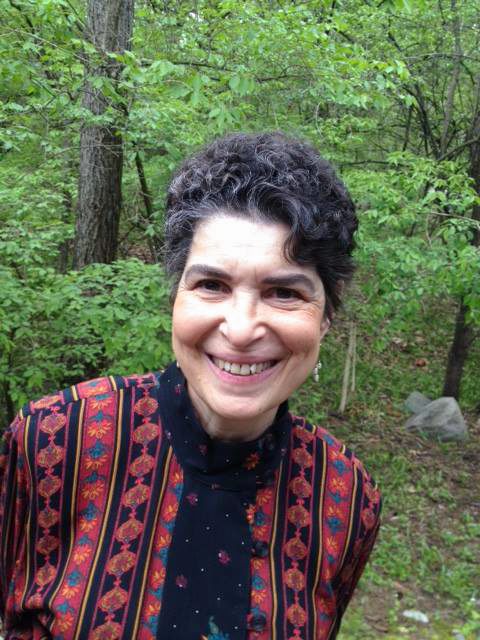 She and her husband live in Ann Arbor, Michigan; they have a son, daughter-in-law, and granddaughter who live in Minneapolis and a daughter who lives in Northampton, Massachusetts. You can contact Kate at stellairepress@gmail.com. Kate Soper came of age in the early 1960s. She is part of the generation that ushered in a new wave of women. She is a quiet but active feminist. Posted on November 30, 2015 by Katharine B. Soper and tagged The Way.